Lot 9 C/I Notice. 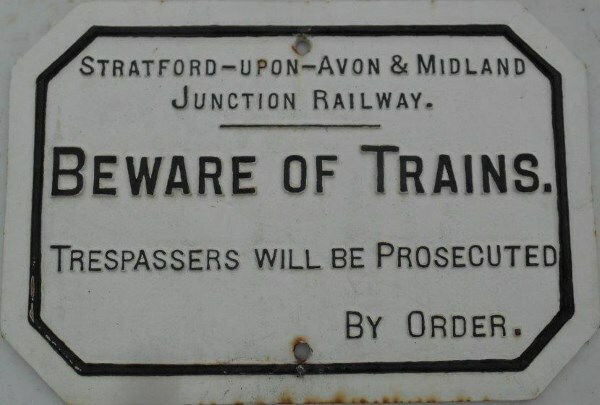 "STRATFORD - UPON - AVON & MIDLAND JUNCTION RAILWAY - BEWARE OF TRAINS - TRESPASSERS WITH BE PROSECUTED - BY ORDER". Restored condition. Size 21" x 15".